It's always tough to write up these articles, it makes the heart sad to contemplate the loss of another outstanding member of the BC rugby community. I first heard the news through Patrick Johnston's tweet this morning although I had heard earlier he had taken a turn for the worse and was in hospice. I didn't know Dave well personally, we met post match a few times, he was Development Manager for BCRU when BCRN started in 2005. BC always seemed to excel in youth rugby at the nationals which was in large part due to Dave's influence. He later went on to UBC and was part of the resurgence of that program as noted in the BCRU story below. My contact with him was mostly by email, asking for the UBC rosters every weekend which he provided like clockwork. Until this last weekend when it returned with an automated "Thank-you for your email. Dave Brown is currently away from the office." I feel incredibly sad when I read that, sad that I didn't take the time to know him better the few times we did talk face to face. He seemed a gentle and intelligent soul. It's perhaps best left to those who did know Dave better, the measure of a person perhaps is in the quality of the memories they've left with others. Here are a few comments seen today on social media. Terrible news! Condolences to the Brown Family, UBC Rugby and the BC Rugby community. A huge loss to our game. RIP Brownie! RIP Dave...You did much to assist my two sons through their rugby careers. Mentor of many who have gone on to be better people due to your influence! RIP Dave Brown. A humble and industrious builder in BC & Canadian rugby I looked up to and greatly admired. Will especially miss those chats about the 13 man code and Saints v Rhinos results. Condolences to The Brown Family! Dave was a huge part of my development and always believed in my potential. A great man and incredible servant for rugby in Canada. So so very sorry to read this today. He helped develop me early in my career before I was capped. We have lost a treasure. Dave was a man totally committed to the game, at all levels. He lived a full life, despite the early call to come off the field. Thoughts go out to Ruth and the families. 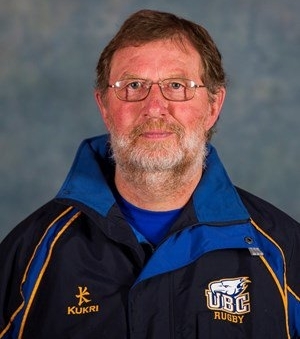 The UBC rugby program would like to offer their deepest sympathies and our heartfelt condolences to the family of Dr. Dave Brown. Dave fought a tough battle with cancer right up to the very end. Dave will be fondly remembered for his candor, ability to bring out the best in those around him and his deep understanding of people and our game. Dave's intelligence and dedication to rugby across the country is unparalleled and with his passing comes an end of an era. Dave was one of a kind and an incredibly special person in many ways he is irreplaceable and the legacy he has left behind speaks to that. We would ask that at this time Dave’s family be given time to work through this process.